The Fast Excel Development Template is an Excel workbook with pre-configured worksheets and macros. It provides a rapid way to perform many of the common processes and functions in the Fast Excel Development Method. Click here to see a live demonstration which uses the Development Template to build a Material Availability tool from scratch in less than ten minutes. Registered users can use a download link below. Register for free here. If you are registered, you can log in here. Dynamic Named Ranges are designed to stretch and contract to perfectly fit the data. The Development Template automates this to eliminate the need to define multiple names and formulas. 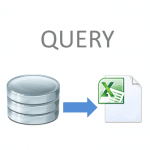 The Query Template brings in data from other sources and performs calculations. It creates names and updates the sheet at the click of a button. This is the interface to the host ERP/MRP system. The Stack Template takes multiple tables with comparable field and appends them together. 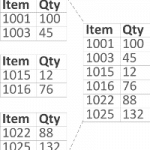 It can automatically append tables with ten thousands of rows and calculate in seconds. The Explode Template takes a table with parent items and explodes it down to the child. Very common with bills of material and routing to calculate material and process requirements. 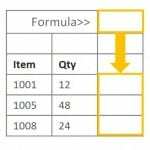 The Pivot Table Template extends native Excel pivot tables to automatic Named Ranges. It can leverage the blazing speed of pivot calculations, perform more and then present the results as a named table. The Development Template has several useful utilities that automate repetitive processes in managing names, sheets, ranges and workbooks. The macros are reusable and can be applied elsewhere.